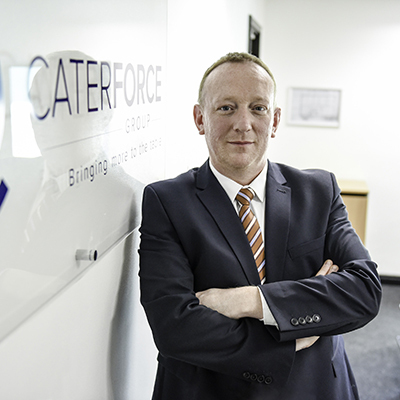 Foodservice buying and marketing group Caterforce has announced annual like-for-like sales growth of £54 million to £524 million. Managing director Nick Redford (pictured) pointed out that this is despite the loss of kff (Kent Frozen Foods) due to the company being taken over early last year by Sysco Corporation (Cash & Carry Management: February 2018). He attributed the rise to significant investments made by the members, enhanced supplier relationships and greater purchasing effectiveness. Another factor is the continued growth of the group’s Chefs’ Selections own-label range, with sales of more than £50 million. The seven member wholesalers are Lynas, Castell Howell, Hunts, Philip Dennis, Pilgrim, Pioneer and JB Foods. Redford commented: “We pride ourselves on working with our members and suppliers in a way that benefits everyone, with the end consumer always in mind. Published by Winlove Publications Ltd. All rights reserved.